A kitchen sink is one of the most useful additions to any kitchen. It’s not only capable of significantly enhancing the look and value of the room, but also adding style and functionality to it. 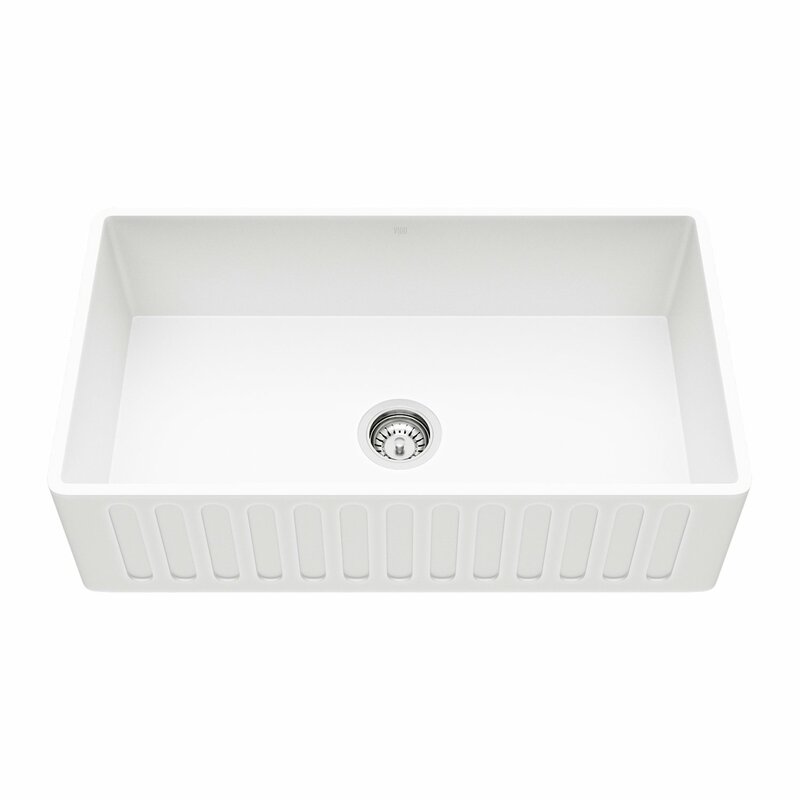 However, over the past decade or two, we have been introduced to many different types of sinks, some of which serve some specific needs much better than the others. And one of the more unique types of kitchen sinks has been the acrylic kitchen sinks. They are relatively inexpensive and come with more than a few impressive features that may appeal to many homeowners. 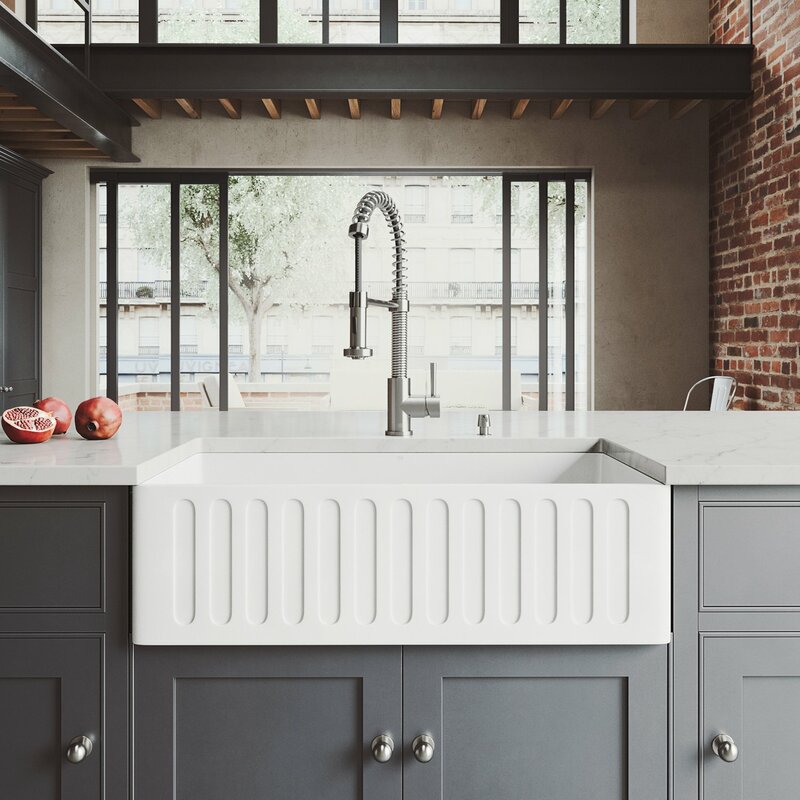 However, as with a purchase as important as a kitchen sink, you need to do your research before being able to take an informed decision about whether or not it’s going to be the right choice for your kitchen. But fret not, you won’t have to do that alone, as this guide will be walking you through some of the biggest advantages and drawbacks of acrylic kitchen sinks. Of course, understanding the features of the acrylic kitchen sinks would go a long way in helping you decide whether one of them would be a right choice for your kitchen. With that said, here’s a detailed look at some of the most important features of acrylic kitchen sinks. 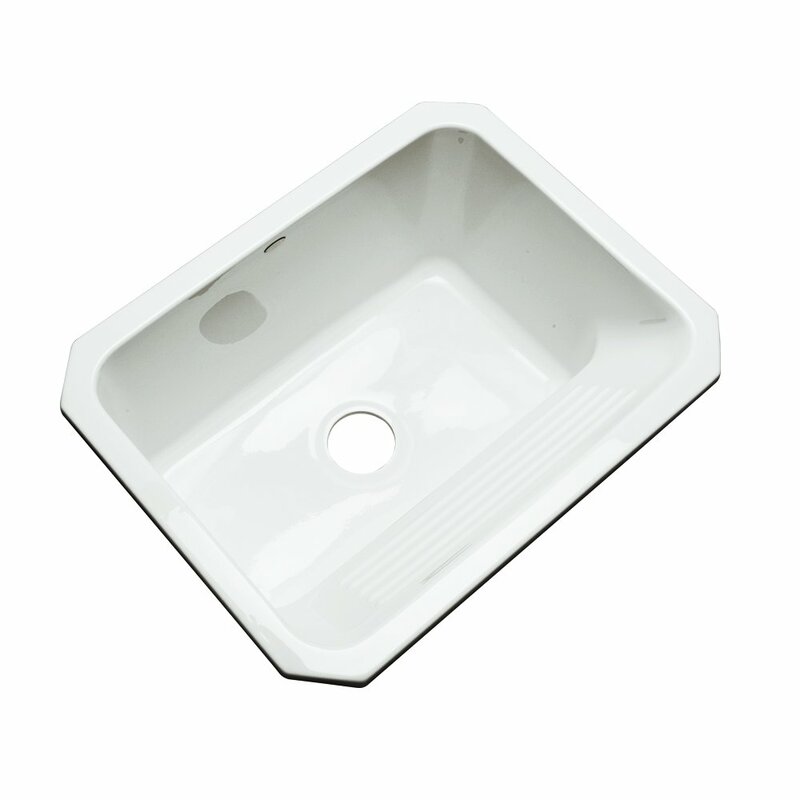 While stainless steel sinks are very popular, they are fairly limited in terms of the style and design. On the other hand, acrylic sinks come with a great variety of style, design, and color. You can even find a sink in red color, which you would probably never do when going for any other types of sinks. Similarly, acrylic kitchen sinks come in quite a few different shapes. This is because the material they are made of – which is polycarbonate plastic – can be used to create any type of shape you can imagine of, thanks to the versatility it brings to the table. Another unique feature of acrylic kitchen sinks is that their color is the same throughout the entire sink, which is usually not the case with many other types of sinks like enamel cast iron sinks. 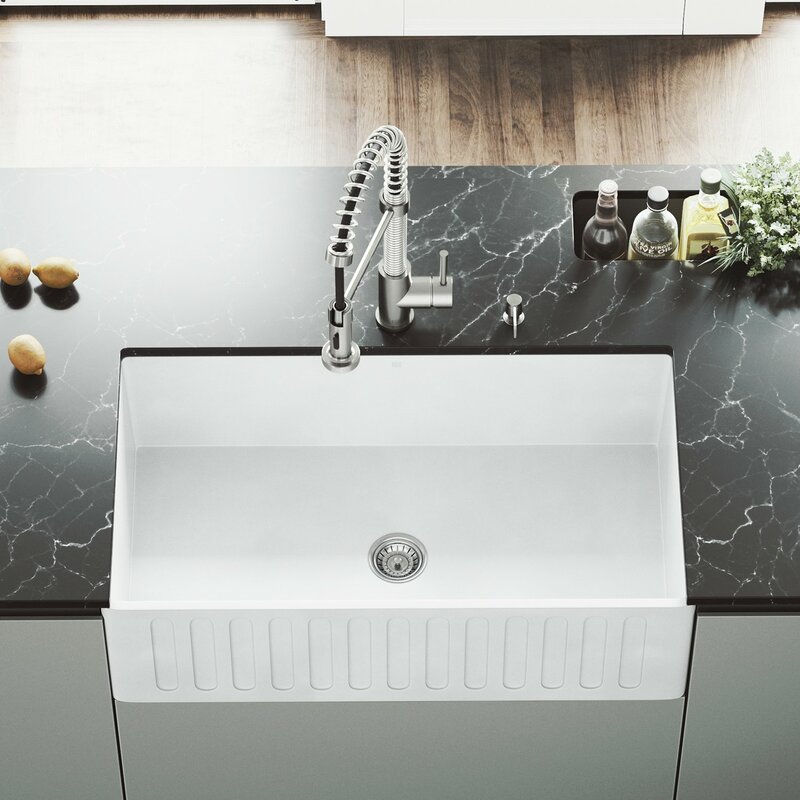 Finally, given the fact that the molded material is also versatile enough to be used to make a type of sink that suits any configuration, it can be a great choice for people remodeling their kitchen. If you have been doing some research around kitchen sinks, you likely know that the premium ones can literally cost you an arm and a leg. In fact, when it comes to something like cast iron sinks, you would be hard-pressed to find something decent at an affordable price. And this is why the pricing of acrylic kitchen sinks would come as a pleasant surprise. Many of them, including some of the better ones on the market, are priced affordably. Needless to say, if you’re building a new home or remodeling your kitchen and suddenly find yourself strapped for cash, an acrylic sink may be a great option without having to compromise on the overall look and feel of your kitchen. If you have ever had any first-hand experience using a cast iron or a copper sink, you know how hard they can be moved around. You also have to be very careful with installing them, which can be quite a challenging task in itself. 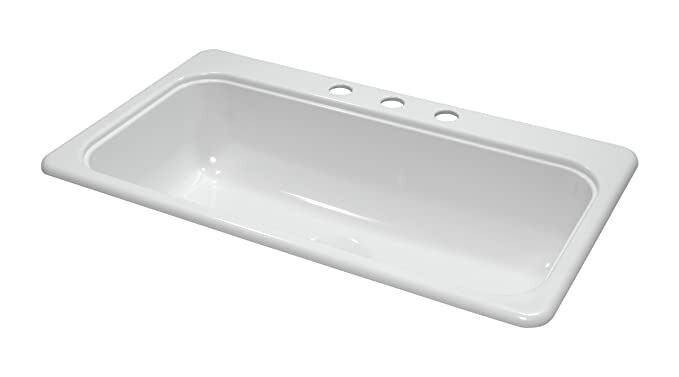 In many cases, one of these heavier types of sinks like cast iron sinks requires additional undermount support in order to prevent their weight from being an issue down the road. That all said, you would have absolutely no such issues with an acrylic kitchen sink. 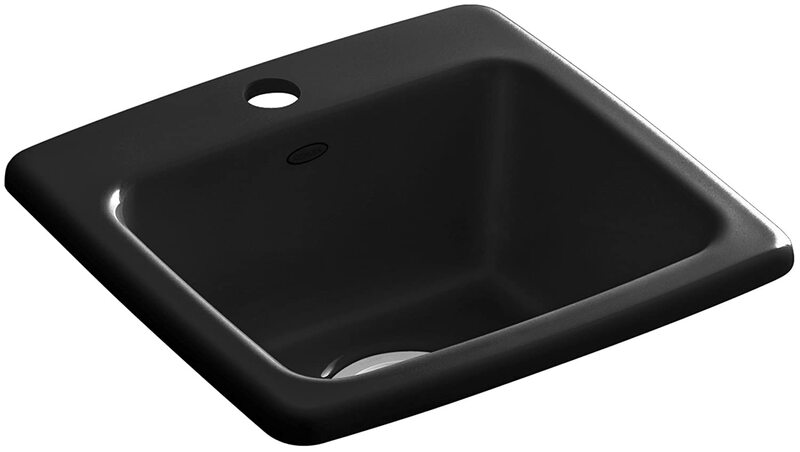 It’s definitely one of the most lightweight kitchen sinks you can ever buy and usually weighs less even than some of those cheaply made stainless steel sinks. This means that the installation is going to be a breeze. Similarly, you wouldn’t have to bother supporting its weight, as there would hardly be any weight to them. 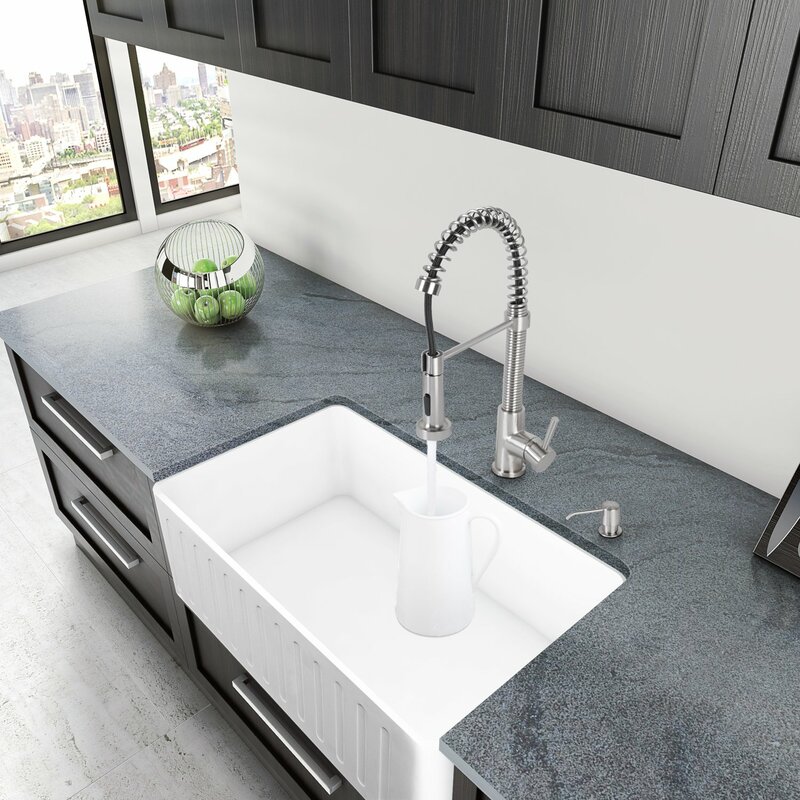 While this may also mean the durability not being as good as some of the other types of kitchen sinks, a good acrylic sink still may not have any problem handling your day-to-day needs. It’s a well-known fact that polycarbonate plastic, although versatile and aesthetically appealing, is not as durable as cast iron or stainless steel. This is simply because it’s a much softer material than most of the other materials kitchen sinks are made of. In other words, unless you’re buying one of the better acrylic sinks, it may have a hard time keeping up with heavy-duty use over a long period of time. Some of the other common issues with acrylic sinks include being more prone to scratches and stains, although they can be easily taken care of thanks to the nature of the material which is easy to clean and maintain. However, you would have to be careful with washing hot objects in the sink, as placing them in the sink when they are very hot may even cause the sink to melt, especially if it’s not a very good product. Finally, if you carefully read through this article, you may have been able to figure out whether an acrylic sink is for you or not. Generally speaking, it may not be the best choice for you if you tend to use your sink in a rough way while having a very heavy-duty use. People that can afford to spend more on their sink, too, may have better options. However, if you’re on a very tight budget, but still want a sink that looks great, is functional, and fairly durable with careful use, then a good acrylic kitchen sink certainly will not disappoint.